Home / Entertainment News, Featured Articles, Gossip and Drama, Videos / Watch Tanzanian President JOHN MAGUFULI taking a normal commercial flight with ordinary Citizens without VIP treatment (VIDEO). Watch Tanzanian President JOHN MAGUFULI taking a normal commercial flight with ordinary Citizens without VIP treatment (VIDEO). 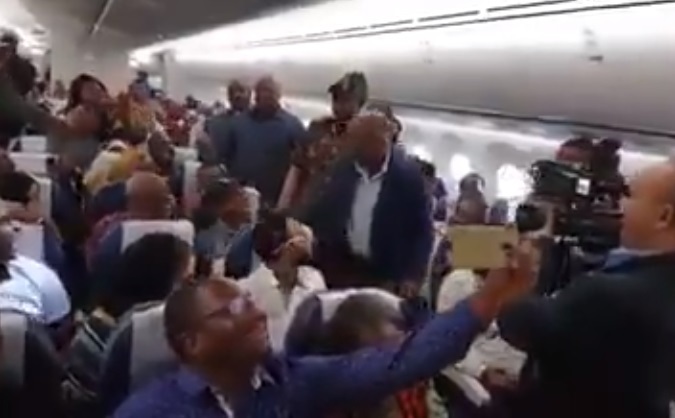 Tuesday, August 28, 2018 - In this video, Tanzanian President, John Magufuli, is seen interacting with ordinary citizens in economy class when he boarded a commercial flight before he went to take his sit in first class. Is this humility or publicity stunt?